Marie R. (Pingitore) DeLuca of Perkasie, Pa., formerly of Feasterville and New Hope, Pa. pictured here with her son officer Frank DeLuca after the NHC Pride Parade. 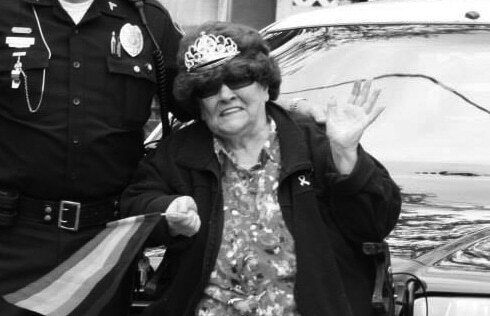 Known affectionately as ‘Momma DeLuca, she would revel in the fact she would ride with her son in the NHC’s Annual Pride Parade which she did for 10 wonderful years. She always used to say that when she was with her family, she was most happy. She loved her sons and the community of New Hope. She also enjoyed visiting the Raven’s Oak Room to enjoy the piano singalongs.